CHICAGO (March 2nd, 2018) - Chicago non-profit theatre company Nothing Without a Company is pleased to announce the location and cast of their next show Cornerstone. The production will take place at ArtSpace 8 in the 900 N. Michigan and will feature an ensemble cast of eleven. Cornerstone was originally conceived by Company Ensemble Member Jake Fruend, is written by Literary Manager Kevin Sparrow, and directed by Company Ensemble Member Rose Freeman. The Cornerstone production team includes Production Manager Ray Goldberg, Stage Manager Shelby Krarup, Assistant Director Julia Skeggs, Projection Designer Sarah Collonge, Properties Designer Jimmy Jagos and Cinematographer / Video Editor Brittany Alsot and Fight Choregorapher Will Bennett*. 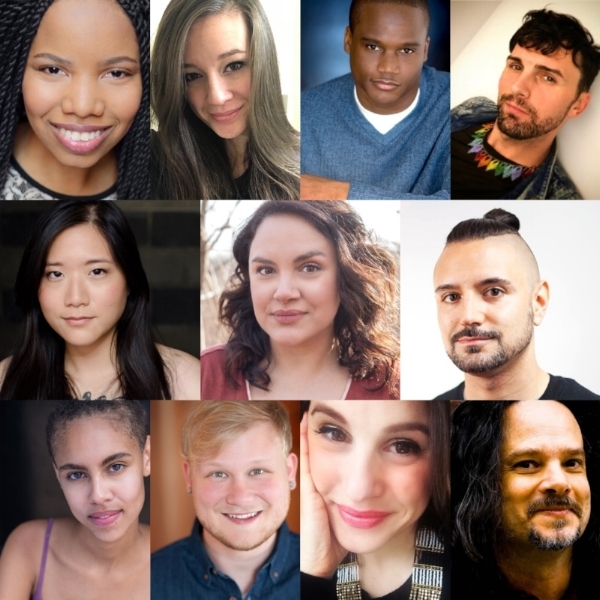 The Cornerstone cast features: Kenya Ann Hall, Raymond Jacquet, Wanda Jin, Kyle Lovett, Jonathan Mayo, Stella Mensah, Kyle Mundil, Samantha Michelle Nava*, Caroline Shaul, Derek Rienzi Van Tassel*, and Dr. Phranque Wright. The Cornerstone Lecture Series encourages participants to become “the architects of their own lives” through individual motivational approaches and large group awareness training. Cornerstone promises "to harness your passion and unleash your unbridled potential" through wildly misappropriated design and architectural terms. Previews are Tuesday, April 3rd and Wednesday the 4th at 7pm. Opening night is Thursday, April 5th at 7pm. The show runs Thursday to Saturday at 7pm, and Sundays at 6pm. Cornerstone will be performed on the third level of 900 North Michigan Shops at 900 N. Michigan Ave, Chicago, IL, 60611. Tickets will be available at NothingWithoutaCompany.org on Monday, March 5th.